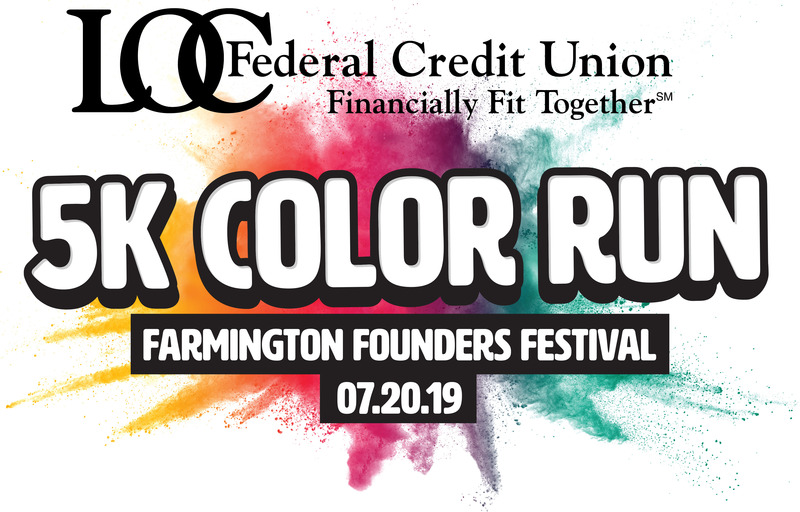 The Farmington Founders Festival LOC Color Run will take place on Saturday, July 20 in beautiful Downtown Farmington. This 5k fun run will give participants the opportunity to run through Shiawassee Park and Downtown Farmington. This race has something for everyone. If you are a competitive runner this will be an accurate 5k with age group medals for awards. There will be color stations along the race route and there will be enough room to breeze straight past them if color is not your thing. The cost of the run is $25 if you register before July 16* ($30 after). If you want to challenge yourself to run a 5k but also have some fun (and color!) along the way then this race is for you. Participants will receive a finisher's medal and there will be refreshments waiting for you at the end. *After registering for the event, you will receive a sign-up code. Share this code with family and friends and if three of them register using that code, you will receive $10 back on your registration! Packet pick up is race day only at Shiawassee Park starting at 7:30 a.m. with the run beginning at 9:00 a.m.
Each participant will receive a t-shirt, sunglasses and bandana.